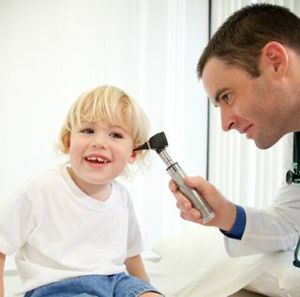 Klamath Audiology provides diagnostic hearing evaluations for children of all ages. These tests are a combination of behavioral and objective tests. Sometimes it is necessary to have several sessions before sufficient information is gathered on your child’s hearing. 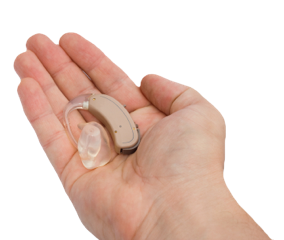 Pure Tone Testing – includes air conduction and bone conduction. This is a behavioral test of the softest sound heard for low through high frequencies. Used to determine the degree and type of hearing loss. Visual Reinforcement Audiometry (VRA) – child is conditioned to look at a lighted toy when he/she hears sounds through visual reinforcement. Play Audiometry – child is conditioned to put a toy in a bucket every time he/she hears a soft sound. Otoacoustic Emissions (OAE) – indicates structural integrity of part of the cochlea. Acoustic Immittance – includes Tympanometry, which assesses middle ear function, and Acoustic Reflexes/Decay, which assesses the function of the seventh and eighth cranial nerves. Klamath Audiology provides newborn hearing screening services for the Oregon State Early Hearing Loss Detection, Diagnosis, and Intervention (EHDDI) program. All children who fail the newborn screening in the hospital should have a diagnostic hearing evaluation by one month of age. It may be necessary for your child to return for continued testing in order to obtain a complete hearing test. If your child has risk factors that may cause late onset hearing loss it will be necessary for continued follow-up. It is recommended that your child be seen every 3 months if hearing loss is present. Every 6 months if no hearing loss is present. Facts on Infant Hearing: Hearing loss is the most common birth defect. Approximately 3 in 1000 babies are born with a hearing loss. Most of these children (90%) are born to hearing parents. At least 50% of children born with a hearing loss have no known hearing loss risk factors. Even a mild hearing loss can affect speech and language development.